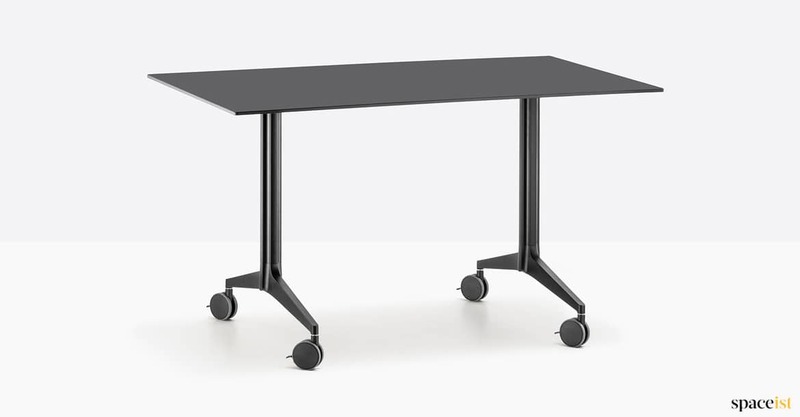 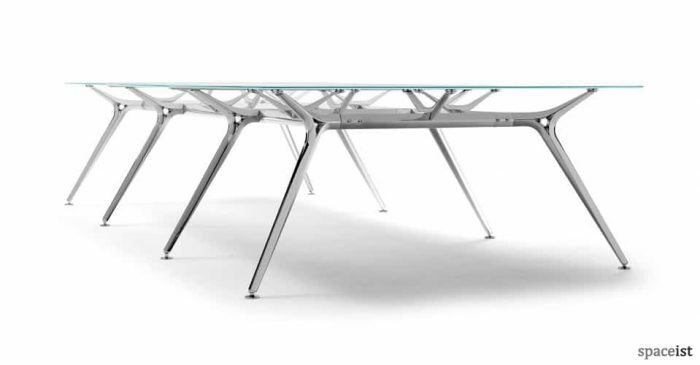 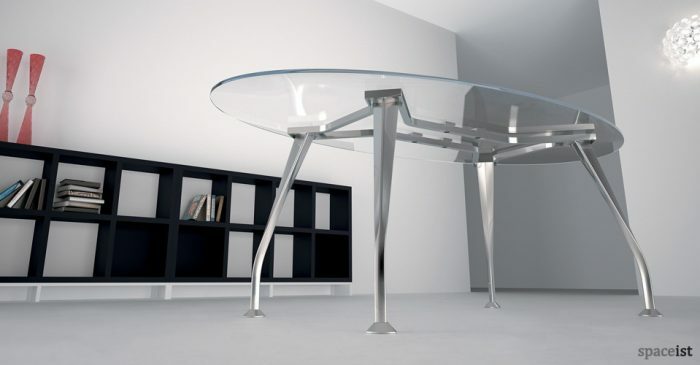 Categories: Glass meeting tables, Folding tables. 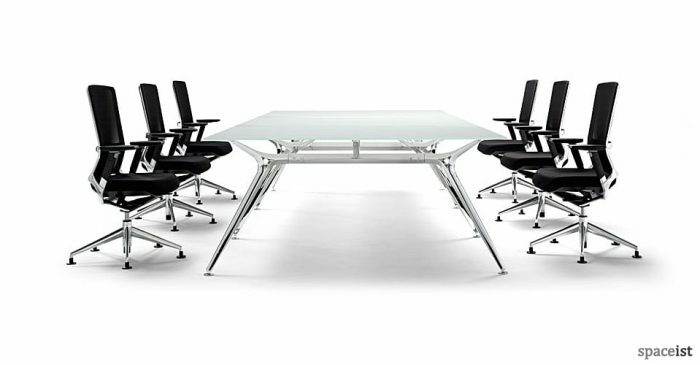 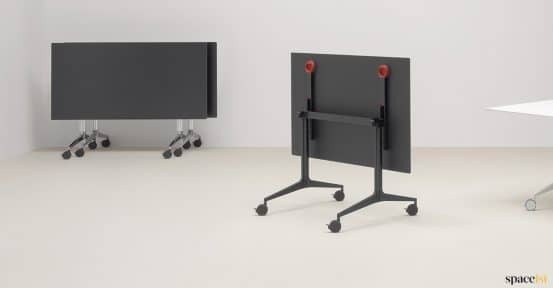 Folding and stacking meeting room table in a modern functional style. 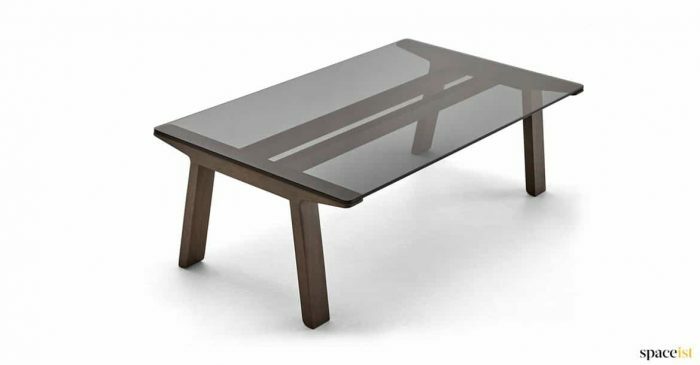 The table top is made from laminate and is very hard wearing, stain resistant and wipe-able. 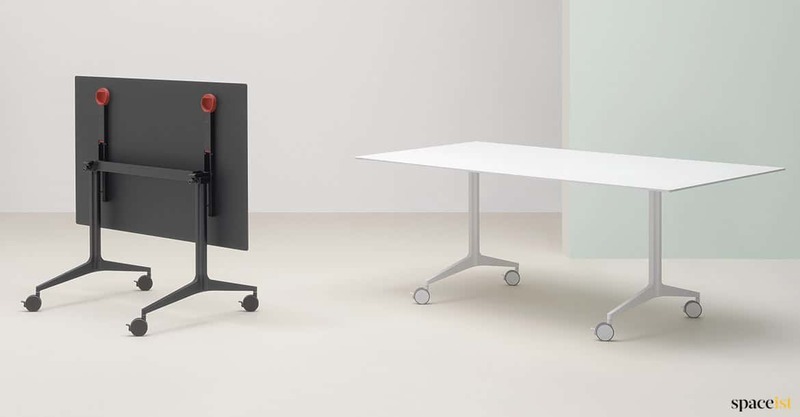 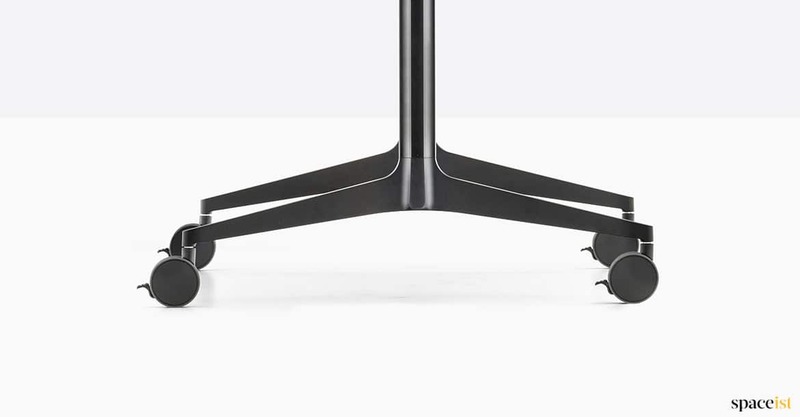 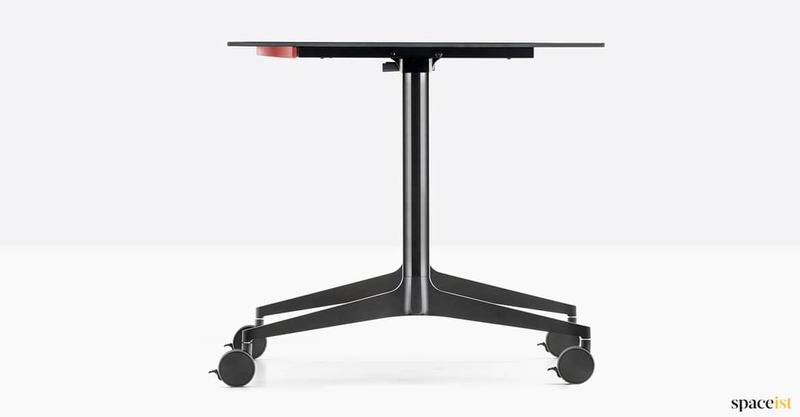 The tables can be easily folded and pushed together to make space for other activities. 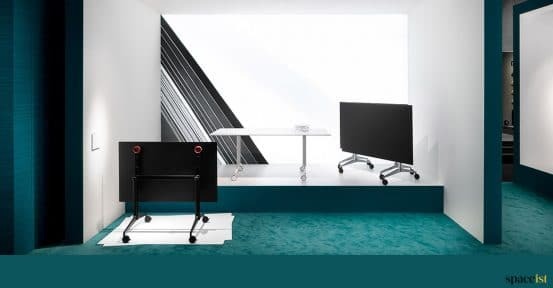 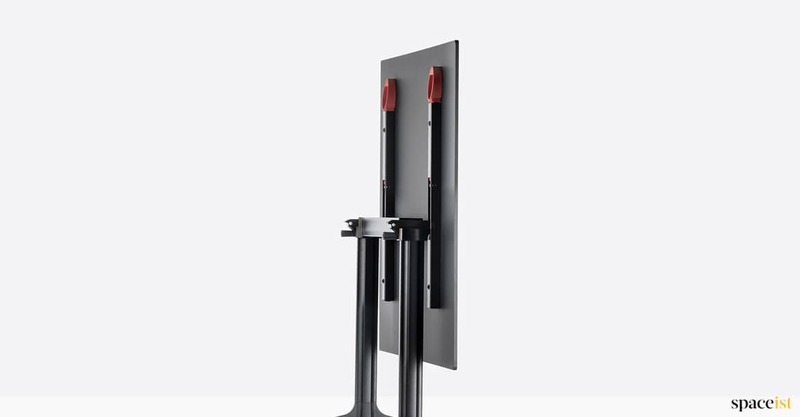 Choose from three base colours – white, black or stylish polished aluminium. Top colours including white, anti-fingerprint black, grey and wood finishes. 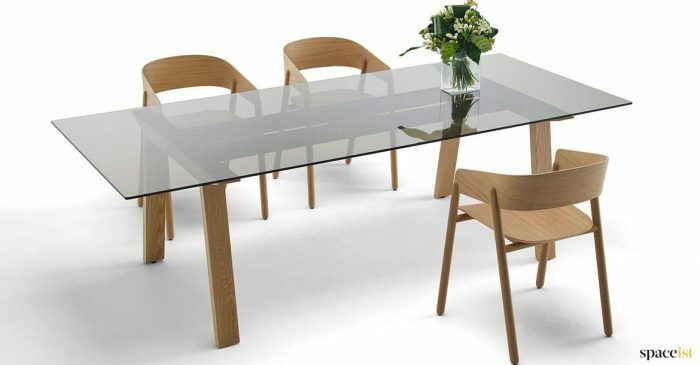 As a guide the table can seat 4, 6 or 8 people.